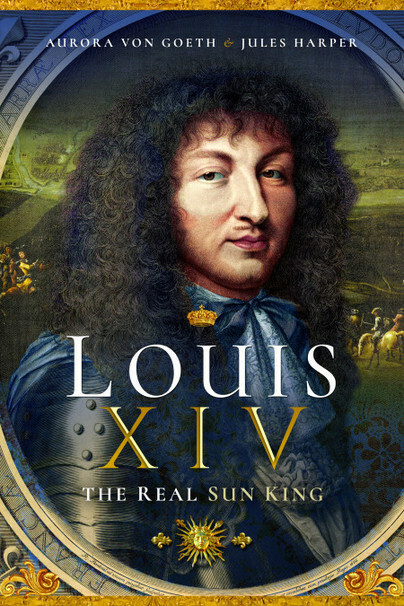 You'll be £5.20 closer to your next £10.00 credit when you purchase Louis XIV, the Real Sun King. What's this? After the death of King Louis XIII in 1643, the French crown went to his first-born son and heir, four-year old Louis XIV. In the extraordinary seventy-two years that followed, Louis le Grand - France’s self-styled ‘Sun King’ - ruled France and its people, leaving his unique and permanent mark on history and shaping fashion, art, culture and architecture like none other before. This frank and concise book gives the reader a personal glimpse into the Sun King’s life and times as we follow his rise in power and influence: from a miraculous royal birth no one ever expected to the rise of king as absolute monarch, through the evolution of the glittering Château de Versailles, scandals and poison, four wars and many more mistresses… right up to his final days. This easy-to-read narrative is accompanied by a plethora of little-known artworks, so if you’re a Louis XIV fan or student, or just eager to know more about France's most famous king, we invite you to delve into court life of 17th century French aristocracy, the period known as Le Grand Siècle– “The Grand Century”. Very well researched book. I loved it. I am completly fascinated by the french court and this book was easy to read, very interesting. A concise & well written book on the life of King Louis XIV. A wealth of knowledge & a great bibliography if you want to pursue further reading. Fascinating insight into the life of another royal Lothario! It makes a quick and entertaining read. As a short introduction the book is not without merit and as such recommendable. Another well written and excellently researched book from Pen & Sword. The illustrations really compliment the narrative and the bibliography is a very useful little feature which I will be using to choose another title in order to further my knowledge of this influential King. I was particularly impressed with the variety of images throughout the book, some of which I hadn’t seen before, and some of the interesting reading listed at the end of the book. The French king still has a huge influence today, through music, comedy, dance and his splendid palace. He is an endlessly riveting object of study, and this book is an excellent addition to the collection. An interesting and compact biography of the Sun King. A good starting book, with a lot of great pictures. Strongly recommended to those who want to start reading about Louis XIV. An engaging, quick little biography of the famous French monarch. This is a lovely compact biography of Louis XIV of France. The great aspect and selling point of this book is that it provides a readable comprehensive foundation on the life of Louis XIV. If you like the period or want to know more about France and Europe at this time, this is the perfect place to start. This was a king to whom the entire history of Europe pivots, his importance to not just European but modern global history is incalculable. While no book can say everything about him and his age nor should it, we do need to learn the basic facts first about Louis XIV. This book does this with a well written narrative, excellent period illustrations and with a clear factual biography. Aurora von Goeth and Jules Harper both share a deep love and appreciation of history, in particular 17th century France. For the last ten years, Aurora’s primary research and area of interest is firmly in this time period, and her articles can be seen on her historical blog www.partylike1660.com. She is currently working on her next non-fiction book.